Thought it’s much smaller than nearby Detroit, Madison Heights is home to a large number of businesses, both big and small. Local mom and pop stores share space on lots next to mega businesses like Hungry Howie’s pizza. With so many businesses operating in Madison Heights, it’s no surprise that there’s such a high demand for high-quality janitorial services. 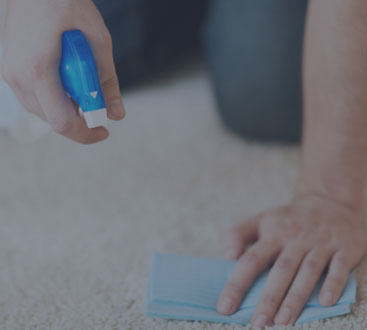 Augie’s Janitorial Services has the supplies to meet this demand and offers superior cleaning services for your business or office in Madison Heights. What’s The Benefit Of Hiring A Commercial Cleaning Service? With so many other business expenses, why would you hire a janitorial service? Simply put, how your business looks can be the difference between completing a sale or missing it entirely. Our janitors can completely transform your space every time they conduct their regular cleaning services. Using the best in cleaning solutions, techniques, and products, you can trust us to keep your business looking spotless. At first glance, hiring a commercial cleaning service might seem like one more business expense to stack on to your monthly budget, but you’d be surprised by how quickly you’ll see returns on this minor investment. A clean business or office attracts more clients and customers. They’ll see that your clean workspace reflects your company’s values and quality of customer service. Your customers will feel more at ease in your business and will spend more time there, and refer your business to their friends, ensuring that you have new streams of revenue coming in. Further, letting our janitors clean up your office will let your employees stay focused on their own work. Let’s face it, if you’re paying a hefty salary for someone to write grants for your company, you’re not really getting the most of that salary by having them scrub out the toilets in the bathroom. Hiring our janitors ensures that all of your office cleanings is done the right way the first time, so you won’t have to pay for cleaning services twice when your busy employees don’t clean their office thoroughly the first time. Cleaning your office isn’t the same as cleaning your home. While you might get away with pushing some dust bunnies under your couch, or simply adding more to that stack of magazines on your coffee table. That simply will not do for your office. Let Augie’s completely clean your office in Madison Heights inside and out. 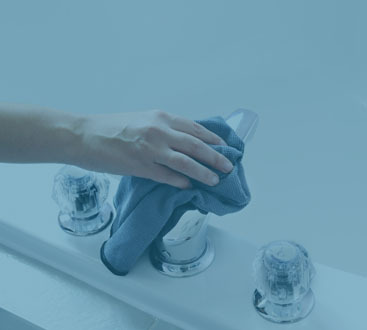 We offer custom cleaning plans for every business we work with. From bathroom sanitizing to carpet cleaning and window washing, you’ll be impressed by how thorough of a job our janitors do every time they visit your office. It may be hard to believe, but the economy loses nearly $4 billion every year just from sick days. With the average employee taking nine days of sick leave a year, that’s a lot of money your business is losing. Instead of eating these costs, arrange for a cleaning service from Augie’s instead. Regular cleaning of your office can keep harmful bacteria and germs from building up on commonly used items like keyboards, phones, and desks. Your employees’ health will be better, they’ll take fewer sick days, and the productivity of your company can improve as a result! The proliferation of businesses in Madison Heights means that you’ve got a lot of competition. It also means that we do too. There are plenty of janitorial services in the Detroit area that promise the same quality of cleaning as Augie’s but fail to deliver on that promise. We’ve built our reputation on our commitment to tailor-made cleaning solutions for you and your business. Before we start cleaning your space, our cleaning consultants meet with you to ensure that you’re getting the cleaning services that your business in particular needs. We don’t use a “one mop cleans all” approach. Instead, we leverage all of our cleaning skills and techniques to keep your businesses flawlessly clean. With more than 20 years of experience, it’s no wonder that we’re held in high regard by our customers. We can tell you how great we are until we’re blue in the face, but we know that we have to earn your business by backing up our claims. The best way to experience the Augie’s Janitorial Services difference is by calling us today. We offer our 100% satisfaction guarantee with every cleaning we conduct. That means that you’ll always be treated to the best cleaning services available. It all starts with a quick call to one of our cleaning consultants who will take the time to learn about your business and it’s cleaning needs. Our consultants will suggest plans and services that can keep your business looking its best and then provide you with a complete estimate so you’ll know exactly how much it will cost. Call us now!